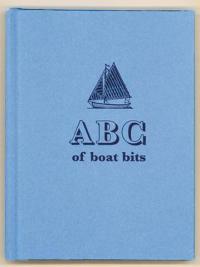 ABC of BOAT BITS is all about the bits and pieces of a Winkle Brig. A Winkle Brig or Bumpkin is an open clinker built, gaff rig boat that is an excellent boat in which to learn the art and science of sailing. Wonderfully illustrated with linocuts, this book will bring back the great joys of learning to sail. An excellent primer for novice and expert alike.